The YMCA of Central New Mexico would like to recognize Jaynes Corporation as one of its’ most active Community Partners. Jaynes Corporation has been instrumental in helping to build, renovate and make ongoing upgrades to many projects at the YMCA of Central New Mexico, including updates at Camp Shaver in the beautiful Jemez Mountains, the new Archery Range and Functional Fitness space at Horn YMCA, along with countless other projects. And Doug Bolling, Senior Estimator at Jaynes Corporation, serves as the newly elected Chair (April 2018) of the YMCA of Central New Mexico Corporate Board of Directors! 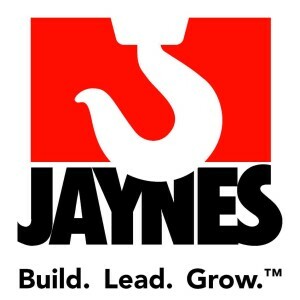 Jaynes started as a concrete company in Albuquerque, New Mexico focusing on driveways and sidewalks. After increasing their abilities and service offerings for twenty-five years, they expanded into the general contracting world. They have grown their people, resources, and services to change the way construction was done across our entire community. They have changed, but their foundation remains the same: to build great buildings and people, to lead project teams and our communities, to grow their company and their resources.